The 2015 Smart Choice Best Online MBA Ranking was designed to help you find a top online MBA program to fit your career goals, budget, and schedule. We took into account both positive and negative user feedback from our popular previous rankings to create a credible and useful ranking. Ultimately, we hope this ranking will meet the needs of the most common person looking for an online MBA program – someone who is smart, successful, busy, budget conscious, and looking for career advancement. Whether you are looking for a growth in your current career or to launch into a new one, earning an accredited MBA can set you apart from your colleagues. Earning an MBA can be a significant investment of time and money, but an MBA from a high quality program typically pays for itself through increased earnings. Our editors created this ranking to help you sort through quality online MBA programs that fit your needs. We gathered data on every AACSB (The Association to Advance Collegiate Schools of Business) and regionally accredited distance MBA program in the United States in order to come up with the most objective and comprehensive ranking of online MBA programs based on factors that matter the most to students. Every year hundreds of driven students with job and/or family responsibilities opt to advance their career by enrolling in top online and distance MBA programs that provide flexibility without sacrificing quality. There are an estimated 11,000 students enrolled in AACSB accredited online MBA schools around the world, with many more enrolled in regionally accredited distance MBA programs. To keep up with the growing demand for online MBA programs, several top ranked MBA programs have made their programs available completely online. As more elite business schools go online with their MBA degrees, the prestige and credibility of online MBA programs will only increase. For the 2015 Smart Choice Best Online MBA Ranking, each accredited online MBA program was evaluated and ranked based on recognition & awards, accreditation, flexibility & accessibility, number of specializations offered, and affordability. Indeed, this ranking targets accomplished students who want a high quality program but who value affordability, flexibility, accessibility, and specialization options over prestige. To measure a program’s quality we looked at accreditation and recognition. We weighed schools accredited by the elite AACSB over schools that were regionally accredited. For quality we also took into account awards and rankings from reputable publishers. To measure flexibility and accessibility we weighed schools that were 100% online over schools that required on-campus visits. We also took into account if some of the admission requirements could be waived due to an applicant’s proven success as a business professional. The finished product will certainly help you make a smart choice in determining the best online MBA program for you! Michigan Technological University sits on 925 acres on a bluff overlooking Portage Lake in Houghton, Michigan. This public research university has approximately 7,000 students enrolled. Accreditation is provided by the Higher Learning Commission of the North Central Association of Colleges and Schools. Program Details: The AACSB accredited online MBA program at Michigan Tech is a 36 credit program that is slated to last two years. That being said, the courses are self-paced so students can take up to five years to complete the requirements. While the majority of the degree is facilitated online, the online MBA requires two visits to Michigan Tech and one to an international location. The program has three primary focuses: technology and decision-making, leadership and management skills, and innovation and strategy. Prerequisites include statistics and economics. It is recommended that applicants also take finance and accounting before entering the program. Admission decisions are made on a rolling basis. Tuition for graduate courses at Michigan Technology University is $820 per credit ($29,520 for 36 hours). Notable Awards: The U.S. News and World Report ranks Michigan Tech #36 on the list for top online graduate business programs. Founded in 1912, the University of Memphis is a public research university and is the flagship of the Tennessee Board of Regents system. Approximately 21,000 students are enrolled in the university. Commission on Colleges of the Southern Association of Colleges and Schools provides accreditation. Program Details: U of M offers two online MBA programs out of the Fogelman College of Business & Economics: a Professional MBA and an MBA with a focus in Pharmacy Practice Management. The online Professional MBA program at U of M is a 33 credit hour program. The MBA with a pharmacy focus is 45 credit hours. The online Professional MBA has synchronous and asynchronous instruction by globally-renowned faculty. Tuition and fees for the 33 hour program is approximately $18,900 total for residents of Tennesseeee. Non-residents can expect to pay approximately $22,400. The total program cost of the 45 hour program is $26,000 for residents of Tennessee and $30,600 for non-residents. Notable Awards: The University of Memphis is on GetEducated.com’s Best Online MBA AACSB Accredited list. The school is #102 on U.S. News and World Report’s list for top online graduate business program. Clarion University of Pennsylvania is nestled in the rolling hills of western Pennsylvania in the town of Clarion. The public university has approximately 6,000 students enrolled. The Middle States Commission on Higher Education provides accreditation for the academic programs. Program Details: Clarion’s online MBA is accredited by the AACSB. The core program is 33 hours. Students without an academic background in business may be required to take up to 18 hours of foundations courses. Residents of Pennsylvania can expect to pay $592 per credit for tuition and fees ($30,192 for 51 hours). Non-residents can expect to pay $631 per credit for tuition and fees ($32,181 for 51 hours). Notable Awards: The university is ranked #148 on U.S. News and World Report’s list for top online graduate business programs. Furthermore, GetEducated.com includes Clarion on their Best Online MBA AACSB Accredited list. Oklahoma State University is a land-grant, sun-grant, public research university founded in 1890. Located in Stillwater, Oklahoma, the school has approximately 26,000 students enrolled. The Higher Learning Commission of the North Central Association of Colleges and Schools provides accreditation. Program Details: The Spears School of Business houses OSU’s online MBA program. The AACSB accredited MBA is a 48 credit hour program. OSU also offers a 36 hour online Dental MBA and a 68 hour online dual MBA-MSTM program. The delivery method for lectures is a combination of DVD, video streaming, interactive video conferences, and podcasts. Tuition and fees for the online MBA is $386 per credit ($18,528 for 48 hours) for residents of Oklahoma and $964.45 per credit ($46,293.60 total) for non-residents. Individuals who are considered active duty military pay a flat-rate of $375 per credit ($18,000 total). Notable Awards: OSU is ranked #91 on U.S. News and World Report’s list for top online graduate business programs. Furthermore, GetEducated.com includes the school on their Best Online MBA AACSB Accredited list. The main campus of WKU is in Bowling Green, Kentucky. There are three regional WKU campuses located in Glasgow, Owensboro, and Elizabethtown/Fort Knox, KY. More than 20,000 students are enrolled in this public university. WKU is accredited by the Southern Association of Colleges and Schools Commission on Colleges (SACSCOC). Program Details: The MBA is offered by Gordon Ford College of Business, which holds dual AACSB accreditation in business and accounting. The MBA requires 33 credit hours of course work. Students can enroll either as full time or part time in any given semester and can graduate in as few as 18 months or take up to 5 years. Online MBA courses are about 7 weeks in length. The GMAT requirement is waived for applicants with accredited doctoral degrees and for Certified Public Accountants. Online tuition for WKU graduate courses is $618 per credit hour (2014-15). Additional fees are $300 per course. Tuition plus fees for 33 credit hours (11 courses) = $23,694. Notable Awards: WKU’s MBA is on GetEducated.com’s Best Online MBA AACSB Accredited list. WKU MBA graduates score, as a program, in the top 10% on the national exit exam for MBA learning. WKU is #138 on U.S. News and World Report’s top online graduate programs. Founded in 1867, West Virginia University is a public research university in Morgantown, West Virginia. The school has nearly 30,000 students enrolled. The Higher Learning Commission of the North Central Association of Colleges and Schools provides accreditation. Program Details: West Virginia offers an online Executive MBA program that requires four on-site visits. The program is 48 credits. While a GMAT score is required for applicants, any applicant with five or more years of professional work experience may request to waive the GMAT requirement. The program is accredited by the prestigious AACSB. Tuition and fees for the EMBA are $835 per credit hour ($40,080 total). Notable Awards: The U.S. News and World Report ranks West Virginia University’s graduate business program and online graduate business program #92 and #23 respectively. American Public University was founded in 1991 in an effort to provide military personnel access to high quality education remotely. The student body is comprised of 41% civilians and 59% military personnel/veterans. The school is a for-profit university, is a member of the American Public University System, and is accredited by the Higher Learning Commission. Program Details: APU’s online MBA starts at 39 credits and is administered completely online. The school offers 11 specializations including Nonprofit Management, Homeland Security Resource Allocation, Sports Management, and Entrepreneurship. Tution for the program is $325 per credit hour ($12,675 for 39 credits and $15,600 for 48 credits). The MBA is accredited by the Accreditation Council for Business Schools and Programs (ACBSP). Notable Awards: GetEducated.com places American Public Univeristy on their Best Online MBA Regionally Accredited list. U.S. News and World Report ranks APU #153 on the list for best online graduate business programs. The University of Mississippi is a research university with a main campus in Oxford, Mississippi. Colloquially known as Ole Miss, the school has just under 20,000 students enrolled. Accreditation is provided by Commission on Colleges of Southern Association of Colleges and Schools. Program Details: Ole Miss has a Professional MBA program that is offered via an online learning system that includes features such as video conferencing and interactive discussions. The program is 36 credit hours and is facilitated by the same faculty as the on-campus MBA program. Tuition for this AACSB accredited program $528.67 per credit hour (approximately $19,000 for the 36 hours program). Notable Awards: Bloomberg Businessweek ranks the traditional MBA program at Ole Miss #76. The U.S. News and World Report ranks the online graduate business program #41. GetEducated.com places Ole Miss’ online MBA on Best Online MBA AACSB Accredited list. Established in 1964, Cleveland State University is a public university located in downtown Cleveland, Ohio. The school has around 17,500 students enrolled. Accreditation is provided by the Higher Learning Commission of the North Central Association of Colleges and Schools. Program Details: Cleveland State offers an online accelerated MBA out of the The Monte Ahuja College of Business Administration. The AACSB accredited program takes 12 months to complete if applicants have already taken the prerequisites. Because the program is accelerated, the order of the coursework is set. The total tuition of the program is $37,500. Notable Awards: The university is tied with several other universities at #51 on U.S. News and World Report’s list for top online graduate business degrees. Southern Illinois University Carbondale is the flagship campus of the Southern Illinois System. Founded in 1869, SIU Carbondale has nearly 18,000 students enrolled. The Higher Learning Commission of the North Central Association of Colleges and Schools provides accreditation. Program Details: SIU’s AACSB accredited online MBA is a structured, 23 month program in which students take 48 credits in cohorts. Students take one course at a time for eight weeks. In addition to a general MBA program, SIU is one of fewer than 10 public universities who offer a concentration in Agricultural Economics. The cost for the entire online MBA is just under $36,000. Notable Awards: The university is tied with several other universities at #51 on U.S. News and World Report’s list for top online graduate business degrees. Southern Illinois University – Carbondale is on GetEducated.com’s Best Online MBA AACSB Accredited list. California State University, Dominguez Hills is a public university located in Carson, California which is in the South Bay region of Los Angeles County. The university is part of the 23 school California State University system. Approximately 14,700 students are enrolled in the school. Cal State, Dominguez Hills is accreted by the Commission for Senior Colleges and Universities of the Western Association of Schools and Colleges. Program Details: The online MBA program at Cal State, Dominguez Hills starts at 33 hours for those who have met all of the prerequisites. The school offers a bridge program comprising of nine credits for those who do not have the prerequisites. The courses are taught in a combination of lecture notes, presentations, and case studies. Online lectures are typically facilitated by video presentations, video conferencing, and online group discussions. Many students take two classes at a time and finish in around 15 months. The MBA program is regionally accredited. The online MBA program has seven concentrations including but not limited to Human Resource Management, Information Technology Management, and International Business. Tuition is currently $460 per unit ($15,180 – $19,320). Notable Awards: U.S. News and World Report ranks California State University, Dominguez Hills #106 on the list for best online graduate business programs. GetEducated.com places the school on the Best Online MBA Regionally Accredited list. James Madison University was founded in 1908 as a school for women. Now a co-educational research university, this public university has over 20,000 student enrolled. The university is in Harrisonburg, Virginia and is accredited by the Commission on Colleges of the Southern Association of Colleges and Schools. Program Details: The university has two AACSB accredited programs that blend online studies with face-to-face studies.The Innovation MBA program is offered in Harrisonburg and takes two years to complete. A cohort of students takes sixteen eight week classes in pairs. Face-to-face meetings in Harrisonburg are required once every 3 weeks during the weeknight. The rest of the class is taught online using synchronous and asynchronous methods. The Information Security MBA program is offered in Reston, Virginia and takes 28 months to complete. A cohort of students takes fourteen eight-week courses, one at a time. Each course requires a four hour face-to-face meeting at the beginning and at the end of the session on a Saturday. The rest of the classes are taught online using synchronous and asynchronous teaching methods. Tuition for residents of Virginia costs $434 per credit hour. The tuition rate for non-residents is $1,135 per credit hour. Located in Durant, Oklahoma, Southeastern Oklahoma State University is a public university with nearly 4,000 students enrolled. The Higher Learning Commission of the North Central Association of Colleges and Schools provides accreditation. Program Details: Southeastern Oklahoma State University offers an AACSB accredited online MBA out of the The John Massey School of Business. The MBA program is 100% online and 36 hours in lengths. Courses are taught in eight week sessions. It is possible to complete the program in 18 months. SOSU offers concentrations in Entrepreneurship and Health Information Systems. Tuition and fees for online graduate students at the university is approximately $308.20 per credit for residents of Oklahoma ($11,0 95.20)and $628.40 per credit for non-residents ($22,622.40 for 36 hours). Notable Awards: Southeastern is on GetEducated.com’s list for Best Online MBA AACSB Accredited. The school is also #110 on U.S. News and World Report’s list for top online graduate business programs. Founded in 1907 as a teacher training school, East Carolina University is a public, research university with a main campus in Greenville, North Carolina. The school currently has nearly 27,000 students enrolled. Accreditation is granted by the Commission on Colleges of the Southern Association of Colleges and Schools. Program Details: ECU’s College of Business has been AACSB accredited since 1967. Students can pursue an MBA 100% online or in an online/hybrid format. The program is 33 to 54 hours in length. This is a self-paced program. Students can take anywhere from one to five classes per semester in any order (once the prerequisites are met). The tuition and fees for the program are $372 per credit hour for residents of North Carolina and $976 per credit hour for non-residents. Notable Awards: East Carolina is on GetEducated.com’s list for Best Online MBA AACSB Accredited. The school is placed at #58 on U.S. News and World Report’s list for best online graduate business programs. Positioned on 200 acres that was donated by the Ford Motor Company in 1959, the University of Michigan-Dearborn is a public university that prides itself on having small class sizes, a strong alumni network, and a commitment to diversity. Over 9,000 students are enrolled in the university. Accreditation is provided by The Higher Learning Commission of the North Central Association of Colleges and Schools. Program Details: The online MBA program is 36-48 credits. Admission is rolling. Students can begin the program in September, January, or May. There are four concentrations: Finance, Human Resource Management, International Business, and Investment. Tuition for students taking one to eight credits at a time starts at $613 per credit for residents of Michigan and $1115.00 per credit for non-residents. Tuition for students taking nine or more credits at a time starts at $351 per credit for residents and $724 for non-residents. The program is accredited by the AACB. Notable Awards: University of Michigan-Dearborn is #58 on U.S. News and World Report’s list for best online graduate business programs. Originally founded as Christian Female College in 1851, Columbia College is a nonsectarian college with a main campus in Columbia, Missouri and 36 campuses nationwide. Now co-educational, the school has more than 29,000 students enroll annually. Accreditation is provided by the Higher Learning Commission of the North Central Association. Program Details: The online MBA at Columbia College starts at 36 hours. Students can get a general MBA or specialize in Accounting or Human Resource Management. Students who want to specialize in Accounting must meet special prerequisite standards. The degree is regionally accredited. Tuition for the online MBA is $350 per credit ($12,600 for 36 hours). Notable Awards: Columbia College is on GetEducated.com’s list for top online MBA’s that are regionally accredited. The school is also ranked #46 on U.S. News and World Report’s list for top online graduate business degrees. Upper Iowa University is a private university located in the rural community of Fayette, Iowa plus 25 additional campuses nationwide. The school has nearly 6,000 students enrolled. Accreditation is provided by The Higher Learning Commission of the North Central Association of schools. Program Details: The university offers a 100% online MBA that is 36 hours in length and regionally accredited by the Higher Learning Commission. Students without an undergraduate degree in business may be required to take three additional bridge courses. Students can choose among five concentrations: Accounting, Corporate Financial Management, General, Human Resources Management, and Organizational Development. Tuition for the online MBA costs $520 per credit for the online MBA ($18,720 total tuition for 36 hours). Notable Awards: GetEducated.com includes the school on the Best Online MBA Regionally Accredited list. UIU is ranked #99 on U.S. News and World Report’s list for top online graduate business programs. Located in Saint Leo, Florida, 30 miles north of Tampa, Saint Leo University is a private Roman Catholic liberal arts university. There are over 16,000 students enrolled in the university from all 50 states and from more than 60 countries. Accreditation is provided by the Southern Association of Colleges and Schools Commission on Colleges. Program Details: Saint Leo University offers a 100% online MBA that is 36 hours in length and regionally accredited by the International Assembly for Collegiate Business Education (IACBE). The program is an accelerated program that takes one year to complete, but students can take up to five years to complete the program, if needed. Students take two classes at a time for eight week intervals. Students can expect to commit to 20-24 hours of work per week. There are eight concentrations available: Accounting, Heathcare Management, Human Resource Management, Information Security Management, Marketing, Sports Business, Project Management, and Market Research and Social Media Analytic. The tuition is $673.00 per credit or $24,228 total ($496.00 per credit or $17,856 total for active military). Notable Awards: The school is ranked #106 on the list of top online graduate programs compiled by U.S. News and World Report. GetEducated.com’s list for Best Online MBA AACSB Accredited includes Saint Leo University. The University of Houston–Clear Lake is a public university that is a member of the University of Houston System. Its campus sits on 524 acres in a southeast neighborhood of Houston called Clear Lake. Over 8,000 students are enrolled in the institution. The Commision on Colleges of the Southern Association of Colleges and Schools provides accreditation. Program Details: Accredited by the AACSB, the online MBA at UH – Clear Lake is a 36 to 54 credit program. Seven concentrations are offered including: Environmental Management, Finance, Human Resource Management, International Business, Leadership, Management Information Systems, and Management of Technology. The most updated tuition information provided by UH – Clear Lake is for the 2010 – 2011 school year. For that year, residents of Texas paid $354.60 per credit ($19,148.40 total tuition for 54 credits) for graduate courses. Non-residents paid $704.60 per credit ($38,048 total tuition for 54 credits). Notable Awards: U of H – Clear Lake is on GetEducated.com’s list for Best Online MBA AACSB Accredited. U.S. News and World Report ranks the U of H – Clear Lake #91 on the list for top online graduate business programs. Program Details: JSU’s College of Commerce and Business offers an AACSB accredited online MBA. The program is 30 credit hours for the general online MBA and 33 credit hours for the Accounting concentration. Students who enter the online MBA without an undergraduate degree in business could be required to complete up to 24 credit hours of foundation coursework. Students can complete the program in as few as 18 months. The most recent tuition information provided by JSU is for the 2011/12 school year. The rate is $423.00 per credit hour ($12,690 – $24,111). Notable Awards: Jacksonville State is ranked #58 by U.S. News and World Report on the list for top online graduate business programs. T he school is on GetEducated.com’s list for Best Online MBA AACSB Accredited. Established in 1863, the University of Massachusetts at Amherst is a research university in Amherst, Massachusetts. This campus is the flagship campus of the UMass system and has approximately 28,500 students enrolled. The Commission on Institutions of Higher Education of the New England Association of Schools and Colleges provides accreditation for the system. Program Details: UMass Amherst offers an MBA program out of the world renown Isenberg School of Management. The program can be taken exclusively through online courses, on campus, or a blend of the two. The program has for areas of focus: Entrepreneurship, Finance, Healthcare Administration, and Marketing and is 45 credits in length. Typical students admitted into the program have around 10 years of professional experience and an average GMAT score of 570. The online MBA program is accredited by the AACSB. Online classes are $825 per credit regardless of place of residence. A 45 hour online MBA would cost approximately $37,125. Notable Awards: In 2013 Bloomberg Businessweek ranked UMass-Amherst’s PT MBA program at #66. U.S. News and World Report ranks Nebraska #27 on the top online graduate business program list. The school is also on GetEducated.com’s list for Best Online MBA AACSB Accredited. Northeastern University is in historic Boston, Massachusetts. The research university was founded in 1898. The university offers advanced degrees online and at campuses in Charlotte, North Carolina and Seattle, WA. There are currently over 20,000 students enrolled in the school. Northeastern is accredited by the New England Association of Schools and Colleges, Inc., through its Commission on Institutions of Higher Education. Program Details: Northeastern University’s D’Amore-McKim School of Business offers an online MBA with 18 courses totaling of 50 credits. Each course lasts between three and five weeks. Depending on the start date, the coursework can be completed in 24 to 27 months. Students can customize their MBA program by specializing in one of nine subjects. A few of the options include Finance, High Technology Management, Supply Chain Management, and Innovation Entrepreneurship. Students take courses with a cohort of 12 to 15 students. The online graduate business programs at Northeastern cost $1,433 per credit hour ($71,650 for 50 hours). 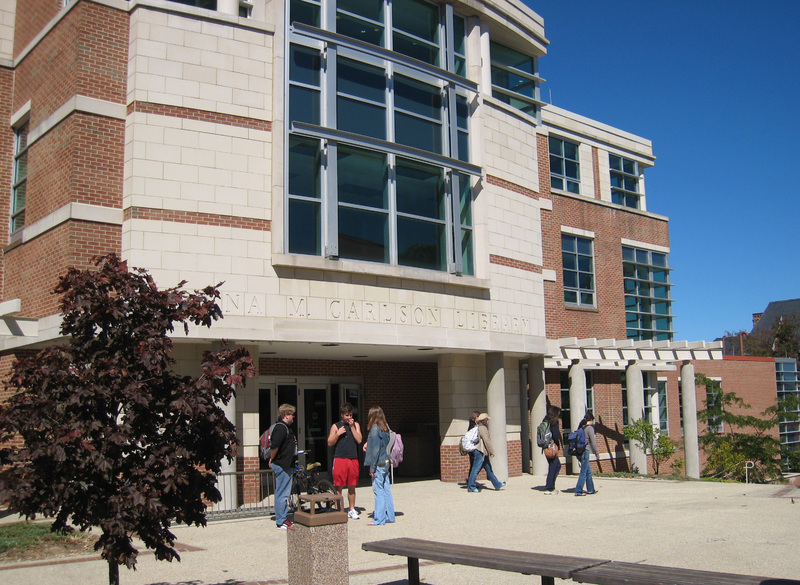 The AACSB provides accreditation for the D’Amore-McKim School of Business. Notable Awards: Bloomberg Businessweek recently ranked the MBA at Northeastern #73 among traditional MBA programs. The business school is ranked #55 by Forbes and #52 by U.S. News and World Report. U.S News also ranks the school #51 on the list of top online graduate business programs. Located in Martin, Tennessee, the University of Tennessee at Martin is one of the five campuses of the University of Tennessee system. Nearly 7,500 students are enrolled in the university. The Commission on Colleges of the Southern Association of Colleges and Schools provides accreditation. Program Details: UT Martin has an online MBA program that is specifically geared towards professionals in the financial industry, although the program is open to students in all fields. All applicants must submit GRE/GMAT scores and must have at least two years of professional experience. Tuition and fees for the online MBA program are $534 per credit for residents of Tennessee and $582 per credit for non-residents. The AACSB provides accreditation for the program. Notable Awards: GetEducated.com includes the University of Tennessee at Martin on the list for Best Online MBA AACSB Accredited. The school is also ranked #50 by U.S. News and World Report on the list of top online graduate business programs. Program Details: FSU’s online MBA program consists of 39 credits and has no business prerequisites required. However, the degree is crafted for “working professionals with extensive professional experiences.” Students can specialize in Real Estate, Management Information Systems, or Sale Management. Application deadlines are October 1 for spring entry, March 1 for summer entry, and June 1 for fall entry. The program takes seven semesters to complete and is facilitated by the same professors as the traditional MBA program. Tuition for the online MBA is $750 per credit hour plus applicable fees ($30,427 approximate program cost). Notable Awards: U.S. News and World Report ranks Florida State University #43 on the list of top online graduate business programs. The school is also on GetEducated.com’s list for Best Online MBA AACSB Accredited. Program Details: MSU’s 100% online MBA program is 30 credits. Students can choose between a general degree and one with a Project Management emphasis. Application deadlines deadlines are August 1 for the Fall Semester, December 1 for Spring Semester, and May 1 for the Summer Semester. All applicants must submit a GMAT or GRE score that has been administered within five years. All students in the online MBA program pay the resident tuition rate which is $370.75 per credit for the Summer courses and $391.50 per credit for the Fall and Spring courses. Students may also pay distance fees per credit hour. The program is accredited by the ACCSB. Notable Awards: Geteducated.com includes Mississippi State on the list for Best Buy in Online MBAs that are AACSB Accredited. The school is ranked #64 on U.S. News and World Report’s list for top online graduate business programs. With a main campus just a few blocks off the banks of the Mississippi River in the town of Cape Girardeau, Missouri, Southeast Missouri State University is a public university. There are nearly 12,000 students enrolled in the university. The school also has regional campuses located in Sikeston, Malden, Kennett and Perryville. The university is fully accredited by the North Central Association of Colleges and Schools. Program Details: Southeast offers the online MBA program out of the Donald L. Harrison College of Business. Students can earn a general MBA, focus on Entrepreneurship or focus on Sports Management. Application deadlines are in early April for the Fall semester, early November for the Spring semester, and early February for the Summer semester. The program is 33 credits assuming that students have taken all of the prerequisites. All programs in the Donald L. Harrison College of Business are accredited by the AACSB. The cost of the program is $292.00 per credit hour for residents of Missouri and $516.00 per credit hour for non-residents. Notable Awards: Geteducated.com places Southeast on the list for Best Online MBAs that are AACSB Accredited. U.S. News and World Report ranks the school #87 on the list for top online graduate business programs. Murray State University is a public university in Murray, Kentucky. The school has around 11,000 students enrolled. MSU is accredited by the Southern Association of Colleges and Schools Commission on Colleges. Program Details: The 100% online MBA program at MSU is considered to be the top MBA program in Kentucky. The school has offered the online program since 2005. The program is 30-57 hours depending on how many prerequisites have been taken upon beginning the program. GMAT or GRE scores must be submitted by applicants. The tests cannot be waived. In 2013/14, the online tuition rates were $628 per credit hour ($18,840 – $35,796 total). Accreditation is provided by AACSB. Notable Awards: Murray State University is ranked #46 on U.S. News and World Report’s list for top online graduate business programs. The school is also on GetEducated.com’s list for Best Online MBA AACSB Accredited. The University of Wisconsin–Whitewater is located in Whitewater, Wisconsin is a member of the University of Wisconsin System. Slightly over 12,000 students are enrolled in the institution. Accreditation is provided by the Higher Learning Commission of the North Central Association of Colleges and Schools. Program Details: UW-Whitewater’s online MBA program starts at 36 credits for those who already have the prerequisites. The degree can be completed 100% online. The school offers eight emphases such as Supply Chain Management, IT Management, and Human Resource Management. Online MBA courses are only taught only full-time faculty members of UW-Whitewater with earned doctorates. The program is accredited by AACSB and costs $619 per credit hour ($22,284 for 36 hours). Notable Awards: The school is on GetEducated.com’s list for Best Online MBA AACSB Accredited. UW-Whitewater is also ranked #148 on U.S. News and World Report’s list for best online graduate business programs. Located approximately one hour from Houston in Huntsville, Texas, Sam Houston State University is a public university with ties to the Texas State University System. Over 19,000 students are enrolled in the school. Accreditation is provided by the Commission on Colleges of the Southern Association of Colleges and Schools. Program Details: The online MBA program at Sam Houston is a 36 hour program that is accredited by the AACSB. Additional hours may be required for students who have not taken the business prerequisites. Applicants with an undergraduate GPA of 3.5 or higher or who have three years of significant managerial and professional experience can apply for a GMAT waiver. The MBA can be completed in just four semester. Tution for the online graduate programs at Sam Houston run from $432 to $456 per credit hour depending on how many hours are taken at a time. Notable Awards: Sam Houston State University is ranked #43 by U.S. News and World Report on the list for top online graduate business programs. The school is also on GetEducated.com’s list for Best Online MBA AACSB Accredited. Washington State University is a public research university located in the eastern Washington town of Pullman, Washington. WSU also has extension campuses in Spokane, Vancouver, Richland, and has a robust online offering. Nearly 28,000 students are enrolled in school at the main campus. Washington State University is accredited by the Northwest Commission on Colleges and Universities. Program Details: WSU’s Carson College of Business offers an online Executive MBA and an online MBA program. Both are accredited by the AACSB. The online MBA has three specializations: Finance, Marketing and International Business. There is also a general MBA available. Students have advisors and 24/7 technology support to ensure that they are able to engage and thrive in the program. The online MBA can be completed in as few as 22 months. The tuition is $750 per credit for the online MBA and $1,150 per credit for the online Executive MBA. Notable Awards: The university is ranked #7 by the U.S. News and World Report on the list for top online graduate business programs. Established in 1874, the University of Nevada, Reno is a teaching and research university. The university as has nearly 19,000 students enrolled and is located in Reno, Nevada. Accreditation is provided by the Northwest Commission on Colleges and Universities. The College of Business at the University of Nevada, Reno offers an online Executive MBA. The online, 12-course (36 hour) curriculum is offered as a two-year cohort program beginning in the fall. All coursework is completed online and each class runs for 12 weeks. All applicants must take the GMAT/GRE. Tuition for the online EMBA program is $24,000. The AACSB provides accreditation for the MBA program. Notable Awards: The University of Nevada, Reno is on GetEducated.com’s list for the Best Online MBA AACSB Accredited. In 2013 Bloomberg Businessweek ranked the school’s part-time MBA #24. U.S. News and World Report puts the University of Nevada, Reno at #76 on the list for best online graduate business degrees. Located 70 miles east of Nashville in the town of Cookeville, Tennessee, Tennessee Technological University is a public university with over 11,000 students enrolled. Although “technology” is in the name, the school offers over 60 degrees from six academic disciplines: Agricultural and Human Sciences, Arts and Sciences, Business, Education, Engineering, and Interdisciplinary and Extended Education. The Commission on Colleges of the Southern Association of Colleges and Schools provides accreditation. Program Details: Tennessee Tech.’s MBA program can be taken on campus, 100% online, or a combination of the two. Students can finish the 30 hour program in as little as a year. The concentrations include Accounting, Finance, Human Resource Management, International Business, Management Information Systems, and General Studies. The MBA program is fully accredited by the Association to Advance Collegiate Schools of Business (AACSB International). Tuition and fees for the online MBA is $587.00 per credit ($17,610 total) for residents of Tennessee and $1,274 per credit ($38,220 total) for non-residents. Notable Awards: The school is on GetEducated.com’s Best Online MBA AACSB Accredited list. The program is ranked #110 by U.S. News and World Report on the list of top graduate business programs. A proud member of the University of Louisiana System, the University of Louisiana at Monroe is a public university in Monroe, Louisiana. Over 8,500 students are enrolled in the school. The Commission on Colleges of the Southern Association of Colleges and Schools provides accreditation. Program Details: ULM’s online MBA is accredited by the AACSB and is 33 credit hours in length. Students can focus on a general MBA or specialize in Construction Management, Educational Leadership, or Gerontology. MBA courses offered in a lock-step format with two offered each semester. Students may enter the program any semester. Starting in Spring 2015, ULM rate for students enrolled in a graduate online degree program is $475.00 per credit hour ($15,675 total). Notable Awards: The University of Louisiana at Monroe is ranked #87 by U.S. News and World Report for the online graduate business program. Furthermore, GetEducated.com places the school on the Best Online MBA AACSB Accredited list. Positioned on 2,000 acres in central Florida, the University of Florida is a public research university located in the town of Gainesville. The university has nearly 50,000 students enrolled. The Southern Association of Colleges and Schools Commission on Colleges provides accreditation. Program Details: UF offers an two online MBA programs out of the award-winning Hough Graduate School of Business. The school offers an accelerated 16 month program and a two year program. Both programs require a quarterly weekend visit to campus as well as participation in orientation. The 16 month program has a one week in-person foundations refresher course. Tuition for UF’s online MBA programs is $48,000 for the 16 month program and $55,000 for the two year program. The MBA programs are accredited by the AACSB. Notable Awards: The MBA program at the University of Florida is ranked by many reputable publications. Bloomberg Businessweek ranked the school’s traditional MBA #48 in 2014 and the part-time MBA #41 in 2013. Forbes ranked UF’s business school #63. The Economist ranked the MBA program #80 among global universities. U.S. News and World Report ranks UF #3 on the online graduate business program list and #41 on the best graduate business school list. The University of South Dakota is a public research university located in the small town of Vermillion, South Dakota. Over 10,000 students are enrolled in the school which enjoys a teacher to student ratio of 1 to 17. The school is regionally accredited by the Higher Learning Commission of the North Central Association of Colleges and Schools. Program Details: The MBA program at South Dakota has been accredited by the AACSB since 1965. Students can choose to go through the program face-to-face, 100% online, or in the online/hybrid format. The program is 33 to 51 hours and has three different specializations: general studies, Business Analytics, and Health Services Administration. Tuition for the program is $414.85 per credit hour ($21,157.35 for the 51 hour program). Notable Awards: The school is listed on GetEducated.com’s list for the Best Online MBA AACSB Accredited. U.S. News and World Report puts the University of South Dakota at #27 on the list for best online graduate business schools. Quinnipiac University was founded in 1929 and sits at the foot of Sleeping Giant State Park in Hamden, Connecticut. With nearly 9,000 students enrolled, the university has a 12 to 1 student-to-faculty ratio. The Commision on Institutions of Higher Education of the New England Association of Schools and Colleges provides accreditation. Program Details: The online MBA program at Quinnipiac is 46 credits and accredited by the AACSB. With 18 electives incorporated into the program, students have the chance to focus on one of six areas such as Finance and Computer information systems or they can take an assortment of courses in a variety of subjects to get a well-rounded MBA. The online MBA program at Quinnipiac also is available in three specific tracks: Chartered Financial Analyst, Healthcare Management, and Supply Chain Management. Tution for the MBA is $895 per credit ($41,170 total tuition). Notable Awards: U.S. News and World Report ranks Quinnipiac University #9 on the list for top online graduate business programs. Arizona State University is a public research university. The school offers degrees from the main campus in Tempe, Arizona, several extension campuses, and online. There are nearly 50,000 students enrolled in programs on the Tempe campus. Arizona State University is accredited by the Higher Learning Commission of the North Central Association of Schools and Colleges. Program Details: A 49-hour online MBA degree is offered out of ASU’s prestigious W. P. Carey School of Business. Courses are facilitated by the same faculty as the award-winning traditional program. Students maximize their energy by taking one class at a time for five weeks per class. Applicants can begin in both Spring and Fall semesters. Online students can choose from four emphasises: finance, international business, marketing, or supply chain management. Tuition and fees for the online MBA cost $53,000 – $62,000. The AACSB provides accreditation. Notable Awards: ASU’s graduate business degrees have ranked highly in many reputable publications. Bloomberg Businessweek ranks the traditional MBA #67 (2014) and the part-time MBA #61 (2013). Forbes ranks the W. P. Carey School of Business #60. The Financial Times and The Economist rank ASU’s MBA program on tlist at #87 and #50 respectively in lists of top global MBAs. U.S. News and World Report ranks the graduate business program #27 and the online graduate business program #2. Located in Mount Pleasant, Michigan, Central Michigan University is a public research university. The main campus has 20,534 undergraduate students and 6,307 graduate students. The University offers classes on their main campus, at nearly 40 extension campuses all over the United States, and online. The school is regionally accredited by the Higher Learning Commission of the North Central Association of Colleges and Schools. Program Details: The online MBA program at CMU is 36 to 43 credit hours in length. The degree has five specializations: SAP Software Systems, Human Resource Management, Logistics Management, Marketing, and Value-Driven Organization. The program is 100% online with the exception of those who specialize in SAP Software Systems who have a two week face-to-face course. This AACSB accredited program costs $600 per credit hour (up to $25,800). Notable Awards: Central Michigan is listed on GetEducated.com’s list for the Best Online MBA AACSB Accredited. U.S. News and World Report ranks CMU at #17 on the list for online graduate business programs. Fort Hays State University is a public university located in Hays, Kansas. Nearly 13,500 students are enrolled in the university. Accredited is provided by the Higher Learning Commission (HLC) of the North Central Association of Colleges and Schools. Program Details: Fort Hays offers a 100% online MBA program out of the College of Business and Entrepreneurship. The MBA consists of 34 credit hours with an additional 12 hours for students who do not have an undergraduate business degree. Online MBA students can choose from a list of 10 concentrations such as Health and Human Performance/Sports Management, Tourism and Hospitality Management, and Leadership Studies. Tuition for the online MBA program is $400 per credit hour ($18,400 for the 46 hour program). Notable Awards: The school is listed on GetEducated.com’s list for the Best Online MBA Regionally Accredited. U.S. News and World Report ranks Fort Hays State University at #64 on the list of top online graduate business programs. Program Details: FIU offers an accelerated Corporate MBA that is offered online out of the Chapman Graduate School of Business. The degree is slated to last 18 months. While no GMAT or GRE is required for admission, applicants must have four years of professional work experience. Students have access to e-advising, e-tutoring, and academic coaching to ensure that they thrive in the academic setting. The program is accredited by the AACSB and costs $42,000 total ($32,000 with scholarships). Notable Awards: Bloomberg Businessweek ranks FIU’s traditional full-time MBA #56. In 2012 America Economia ranked the traditional MBA and the International MBA programs #31 globally and #16 in the U.S. U.S. News and World Report ranks Florida International University #27 on the list for best online graduate business programs. The University of North Texas is a public university located in Denton, Texas. The school has over 38,000 students enrolled. The Southern Association of Colleges and Schools Commission on Colleges provides accreditation. Program Details: The College of Business at UNT offfers a 36 hour 100% online MBA with a specialization in Marketing and a specialization in Strategic Management. The school requires applicants to submit GMAT scores. The College of Business does not accept GRE scores. The average student takes around five years to complete the MBA program although some complete the degree in around two years. Tuition is $227.79 per credit hour ($8,200.44 for 36 hours) for residents of Texas and $589 per credit hour ($21,204) for non-residents. The AACSB provides accreditation for the MBA programs. Notable Awards: The school is listed on GetEducated.com’s list for the Best Online MBA AACSB Accredited. U.S. News and World Report ranks UNT #17 on the list for top online graduate business degrees. Program Details: UND’s online MBA program starts at 33 credits and is offered completely online. Most students take two years to complete the program. Students have a live web class one evening a week. The school has a general MBA program or one that specializes in International Business. Tution for the program $286.35 per credit. The MBA is accredited by the AACSB. Notable Awards: The university is ranked #32 by U.S. News and World Report on the list for best online graduate business programs. Also, GetEducated.com places the school on the Best Online MBA AACSB Accredited list. Positioned on approximately 521 acres in northeast Colorado Springs at the foot of Austin Bluffs, the University of Colorado Colorado Springs is a public university with nearly 11,500 students enrolled. Established in 1965, the school is a member of the University of Colorado System. UCCS is accredited by the Higher Learning Commission and is a member of the North Central Association of Colleges and Schools. Program Details: The university started a distance MBA program in 1996 and was one of the first AACSB International accredited online MBA programs in the country. The online MBA program starts at 36 hours. The degree has eight specializations including Finance, Health Care Administration, Innovation Management, and Project Management. Applicants with 10 years or more of professional experience or applicants who have another graduate degree can apply to waive the GRE/GMAT requirement. The online MBA is completely online and can be completed in as few as 18 months. The tuition of the online MBA is $712.17 per credit hour ($34,184 for 48 hours) for residents of Colorado and $766 per credit for non-residents ($36,768 for 48 hours). Notable Awards: The University of Colorado Colorado Springs is on GetEducated.com’s list for Best Online MBA AACSB Accredited. U.S. News and World Report ranks UCCS #82 on the list for top online graduate business programs. Auburn University is a public university with over 25,000 students enrolled. The university is located in Auburn, Alabama and is a land, sea and space grant university. The Commission on Colleges of the Southern Association of Colleges and Schools provides accreditation. Program Details: The Raymond J. Harbert College of Business houses Auburn’s online MBA program, which is a 36 credit program. The program is accredited by the AACSB. Online MBA courses are simply on-campus courses that have been filmed and streamed online. Students in the online MBA take the same courses, have the same professors, assignments and exams as the traditional program. The available business concentrations are finance, marketing, management, information systems, supply chain, business analytics and human resource management. Online students can begin the program in both Fall and Spring semesters. Most students finish the program in two and a half years. Auburns online MBA is $805 per credit hour ($28,980 total). Notable Awards: Auburn’s online MBA is ranked #12 on U.S. News and World Report’s list for top online business graduate schools. GetEducated.com places the school on the Best Online MBA AACSB Accredited list. Founded in 1929, Marist is a private liberal arts college that sits on a 210-acre campus overlooking the Hudson River in Poughkeepsie, New York. Nearly 6,400 students are enrolled in the school. The Middle States Commission on Higher Education provides accreditation for the school. Program Details: Marist has a 100% asynchronous online MBA consisting of 10 3-credit courses. The program can be completed as in as few as two year. The online MBA has four concentrations: Ethical Leadership, Financial Management, Healthcare Administration, and International Business. The GMAT?GRE requirement is waived for applicants who already have advanced degrees. The current tuition rate is $750 per credit and the AACSB provides accreditation. Notable Awards: The U.S. News and World Report ranks Maris #46 on the list for top online graduate business programs. GetEducated.com places the school on the Best Online MBA AACSB Accredited list. Located in the Texas Panhandle town of Canyon, West Texas A&M University is a public university with nearly 8,500 students enrolled. The school is a member of the Texas A&M University System. West Texas A&M University is accredited by the the Southern Association of Colleges and Schools Commission on Colleges. Program Details: The online MBA program is 31-49 hours, depending upon how many prerequisits a student has upon admission to the program. Students can earn a general MBA or one with a specialization in Computer Information Systems, Management, Marketing, or Health Care Management. While all applicants are encouraged to take the GMAT exam, those with an UG GPA of 3.0 or higher may request to have this requirement waived. The degree can be taken exclusively online. Tution for the degree is $360.57 per credit hour ($17,667.93 for the 49 hour program) for residents of Texas and neighboring states. Non-residents can expect to pay $391.13 per credit hour ($19,165.37 for the 49 hour program). The AACSB provides accreditation for the MBA programs at the university. Notable Awards: West Texas A&M is on GetEducated.com’s Best Online MBA Regionally Accredited list. U.S. News and World Report ranks West Texas A&M University #27 on the top online graduate business program list. Ball State University is a public research university in Muncie, Indiana. Approximately 21,000 students are enrolled in the university. The Higher Learning Commission of the North Central Association of Colleges and Schools provides accreditation. Notable Awards: Ball State is on GetEducated.com’s Best Online MBA AACSB Accredited list. The school is also ranked #17 on U.S. News and World Report’s list for online graduate business programs. Founded in 1888, the University of Scranton is a private Catholic and Jesuit university, located in Scranton, Pennsylvania. Over 5,600 students are enrolled in the university. Students enjoy a teacher-to-student ratio of 1 to 11. The University of Scranton is fully accredited by the Middle States Commission on Higher Education. Program Details: Accredited by the AACSB, the University of Scranton’s online MBA is a 36 – 48 hour program, depending upon the applicant’s qualifications. Students can get a general MBA or specialize in Enterprise Resource Planning, Healthcare Management, International Business, and Operations Management. Technology support is available 24/7 for students in the online program and courses are taught by the same high quality professors at the traditional MBA program. No GMAT score is required for admission. Tution per credit hour for the online MBA is $940 ($33,840 – $45,120 total). Notable Awards: The University of Scranton is ranked #51 on U.S. News and World Report’s list of top online graduate business programs in the United States. GetEducated.com places the school on the Best Online MBA AACSB Accredited list. With a main campus 18 miles north of Dallas in Richardson, Texas, The University of Texas Dallas is a public research university. There are approximately 22,000 students enrolled in the university. The Southern Association of Colleges and Schools Commission on Colleges provides accreditation. Program Details: UT Dallas offers an online professional MBA out of the prestigious Naveen Jindal School of Management. The online MBA is a 53 hour program with entry in the Fall, Spring, and Summer semesters. The AACSB accredited program has nine concentrations including but not limited to Healthcare Management, Innovation and Entrepreneurship, and Supply Chain Management. Students can take up to 72 months to complete the program. Classes are 100% online via audio streaming of lectures, video clips, as well as a variety of web-based communication platforms. That being said, occasionally professors require a proctored exam. The total cost for the program is approximately $42,000 for residents of Texas. Non-residents pay approximately $71,000 for the program. Notable Awards: Bloomberg Businessweek ranks UT Dallas’ part-time MBA program #26 (2013) and the traditional MBA #41 (2014). Currently, U.S. News and World Report ranks the graduate business program #37 and the online graduate business program #4. University of Nebraska – Lincoln is a public research university located Lincoln, Nebraska. The school has nearly 25,000 students enrolled and is the flagship university of the University of Nebraska System. The University of Nebraska-Lincoln is accredited by the Higher Learning Commission (HLC) of the North Central Association of Colleges and Schools. Program Details: The award winning online MBA program at Nebraska is a total of 48 hours and can be taken exclusively online. The program typically takes between 2-4 years to complete and is facilitated by the same high quality professors that teach traditional courses for the university. Students can choose between five specializations: Business Analytics, Finance, Supply Chain Management, International Business, and Marketing. Applicants must take the GMAT or GRE. A score of 600 on GMAT (or equivalent on the GRE) is strongly recommended. The AACSB accredited online MBA tuition totals $25,488. Notable Awards: In 2013 Bloomberg Businessweek ranked Nebraska’s part-time MBA program #18. U.S. News and World Report ranks Nebraska #6 on the top online graduate business program list. GetEducated.com places the school on the Best Online MBA AACSB Accredited list.